Black Magic are legendary snares preferred by professionals world wide. 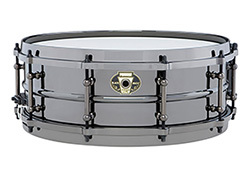 Black magic snares offer black nickel over brass shell first pioneered by Ludwig in the 20's. The Black Magic snares deliver classic Ludwig tone drummers prefer. 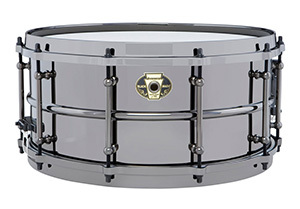 Black magic snares are accentuated with matching tube lugs and die cast hoops. Black magic Stainless steel snares - the Black Magic Stainless snare drums incorporate mirror polished stainless steel fir bright cutting attach and mid range overtone.